I should specify that the elaborateness isn’t actually cabbage-related. The cabbage part is really pretty simple both in terms of prep and the role it plays. It is blanched and it provides the internal crunch. It is the supporting players in an egg roll that make the magic. But before we get to said magic let’s back up and consider the egg roll for a moment. I think we all know, or at least suspect, that egg rolls are merely Chinese-esque, or possibly Chinese-ish, at best. Chinese-inspired, if you will. Go looking for an egg roll in Beijing and tell me how it goes. If anything, you are apparently more likely to find something that resembles a spring roll. I got collard greens last week. These were on my list of terrifying items I was hoping would never show up, but knew in my heart were unavoidable. Well the day came, and here I am with this massive bunch of prehistoric-looking leaves. 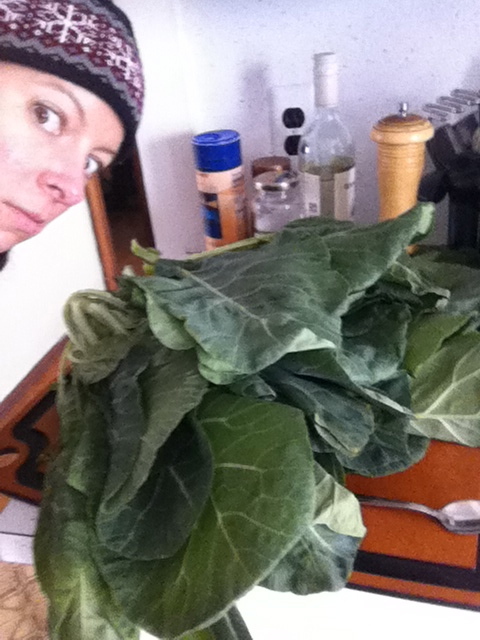 So we’ve made friends with the collards, now what to do with them. I was told by several people to just sauté them with some garlic and bacon, but I had heard that simmering them was “authentic”, so I decided to give that a try. To say that this is outside my wheelhouse is a comical understatement. It involves collard greens which I have never actually seen in person before, and ham shanks/hocks, which I was blissfully unaware existed prior to this undertaking. 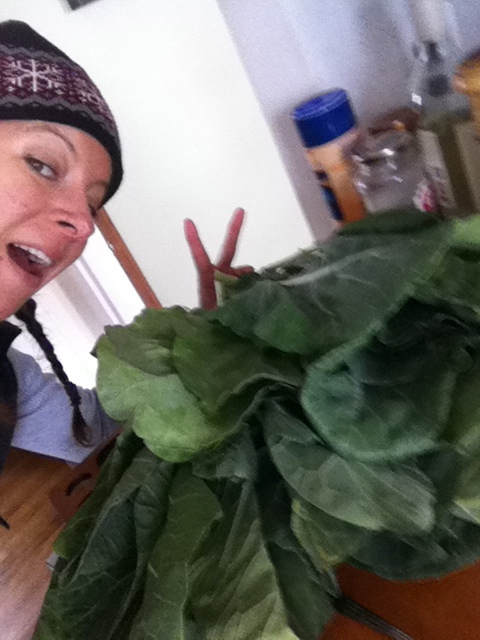 I went with this recipe for collard greens from the lovely people at Putnam Farm. I followed it as closely as possible. Check out their page, they have lovely pictures and very well-written instructions. So we have the collard greens. Check. Now we need the ham shank-hock-thing. Really, I was on the lookout for ham hocks. Not as easy to find as you would think. They have ham shanks, and pork hocks, but not ham hocks. What is the difference, you ask. I didn’t know either. I actually got some pork hocks before having a mini-crisis of confidence. I don’t even know what a hock is. Or a shank, for that matter. 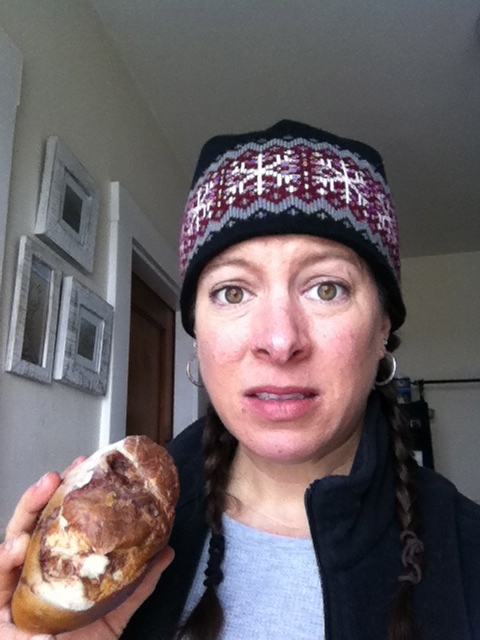 This is me with a pork hock. At this point I still have no idea what it is. The seemingly endless stream of kale has tapered off lately, and I instead find myself looking for drawers and shelves and nooks in which to store the backlog of potatoes that has been building, insidiously and inexorably, over the last few weeks. I really didn’t notice it happening and then suddenly I was thinking of taking a few handfuls of purple fingerling potatoes to give my friend’s wife when we all met up at a bar to celebrate her birthday. Because nothing says, “30 is the new 20” like a bunch of multi-colored potatoes. Alternatively, I was considering hooking them all up with copper wires and using them as a power source to light my house in case of electrical outages. Seriously, look at the link. It’s possible. 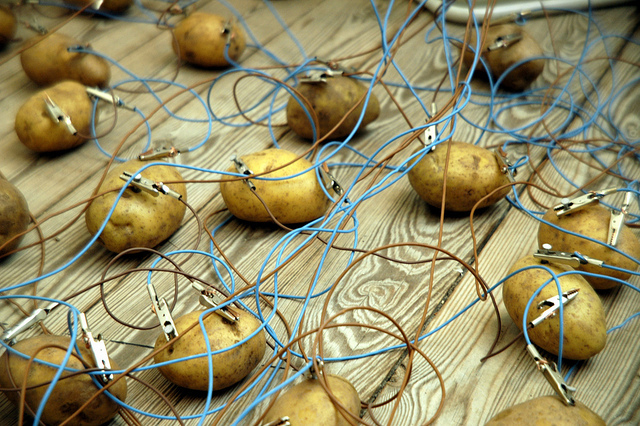 Everybody knows that kid who won the science fair with the potato battery. 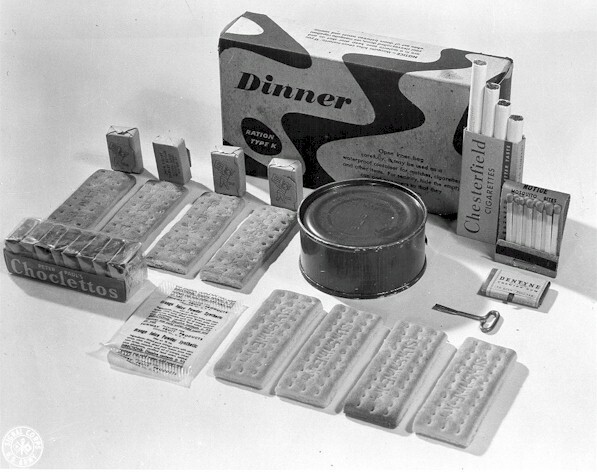 Potato batteries feel a little survivalist though, and the point of this project is to cook things, not live off the grid in a sod house where all the furniture is made of surplus World War II K-Rations to save space. Not easy to construct a bed frame out of these babies.